Crownways Institute- Fees, website, courses, intake, contacts. 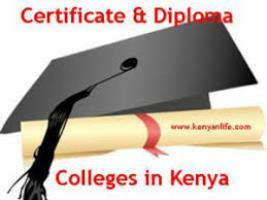 A comprehensive list of all short courses, certificate and diploma courses offered at Crownways Institute. Fees varies per programme, for details on fees and account number concerning Crownways Institute, kindly contact the admissions office. Leaders Institute of Journalism and Legal Studies- Fees, website, courses, intake, contacts. The Institute of Professional Security Studies- Fee structure, website, courses, intake, contacts. Mesburn Institute of Technology- Fees, website, courses, intake, contacts. Cybernetics Computer Training Institute- Fees, website, courses, intake, contacts.